The draw took place at the White Hart on 13 February 2013. Thanks to village celebrity Janet Maskrey for drawing the winning ticket. Congratulations to the winner, Richard Patton, and thank you to everyone who took part. 236 tickets were purchased and we are grateful to Debbie, Sharon and staff at the Bread Shop for displaying the jewellery and selling the tickets on behalf of Bradda Dads. Here are the details of how to have a chance to win a 'one-off,' hand made, necklace and earring set worth hundreds of pounds. The jewellery consists of a matching suite of a 9ct gold, oval sapphire and cubic zirconia pendant and stud earrings. 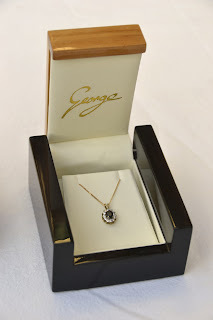 The pendant is supported by an 18" 9ct gold fine neck chain. 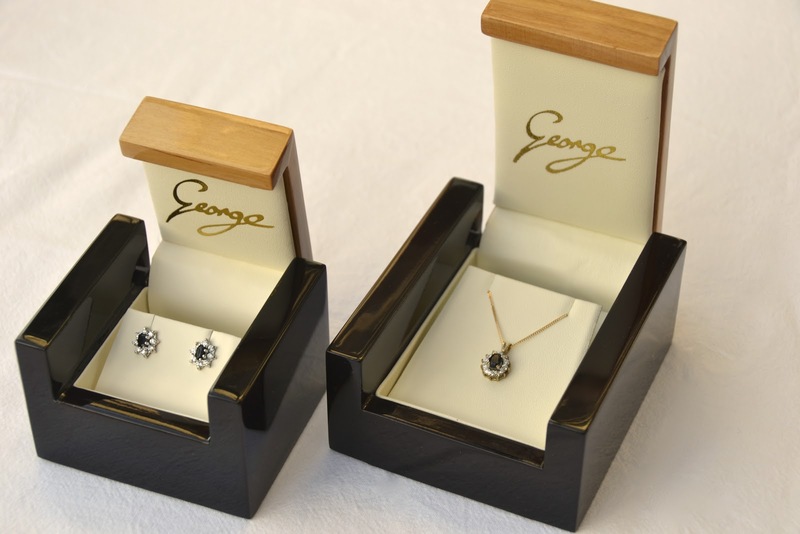 George Hempshall ('George the Jeweller' of the Hills) has very generously donated the jewellery set to Bradda Dads. We are holding a Valentine's raffle for one lucky ticket holder to win the jewellery set with all proceeds going to Bradda Dads. We are very grateful to George for gifting this wonderful jewellery to us for the eventual benefit of the village. Tickets are £1 each available from the Bread Shop where the jewellery will be on display during opening hours only. The raffle prize draw date will be announced shortly, but we expect it to take place in February 2013. Keep checking this page for updates. Here are some photographs of the jewellery that, as you can see, are presented in some beautiful wooden cases. 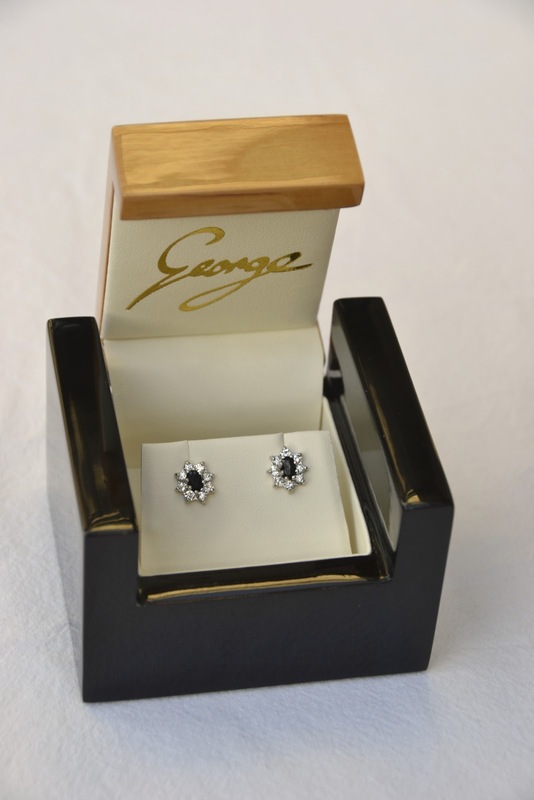 Please note, the prize consists of the necklace in its own case and a pair of matching earrings in its own case. Thanks to everyone who bought ducks for this year's annual event, the 14th consecutive year the 'Dads have held the race. The weather was kind to us providing a bright sunny day. Below is the results sheet, please click to view. The 12th annual pensioners lunch took place on Wednesday 5th December 2012. Around 130 attended and enjoyed cottage pie, carrots, peas and Yorkshire pud. The weather was kind, cold, but sunny. Thanks again to everyone involved including the infant and junior school children who sang festive songs.